Both houses of the Legislature today wasted no time acting on legislation that could ensure that oil and natural gas continue running through the Straits of Mackinac. The bill is now on Gov. Rick Snyder’s desk. This has been one of term-limited governor’s top priorities in his last few weeks in office as he’s worked out a deal with Enbridge to secure Line 5, despite vocal criticism from environmental groups. Both Gov.-elect Gretchen Whitmer and Attorney General-elect Dana Nessel want to shut down Line 5, but this new legislation could tie their hands. The matter is widely expected to end up in court. 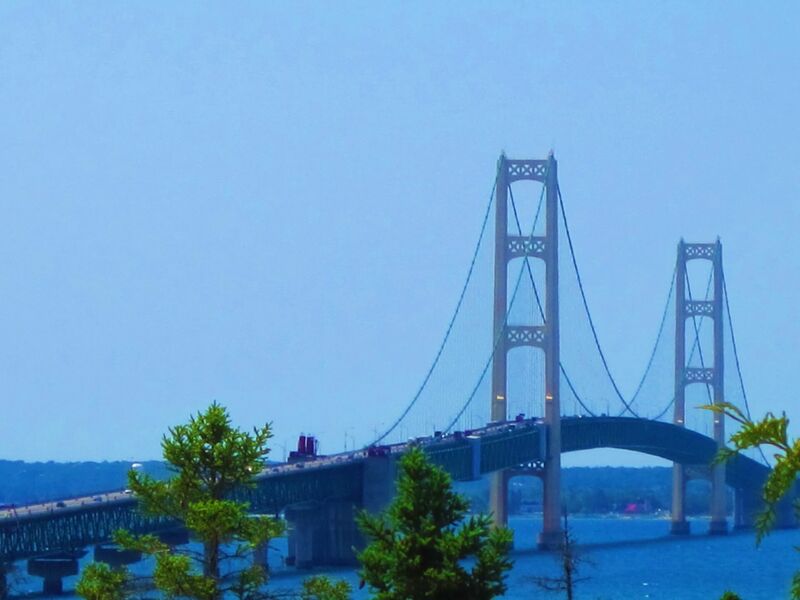 The pipeline carries roughly 23 million gallons of oil and liquid natural gas a day through the Straits of Mackinac. Senate Bill 1197, sponsored by state Sen. Tom Casperson (R-Escanaba), would allow a new utility tunnel that could house Line 5. The legislation creates the Mackinac Utility Corridor Authority. In a speech supporting the legislation today, state Rep. Lee Chatfield (R-Levering), the incoming House speaker who hails from the Upper Peninsula, said he enjoys taking his five children to the Great Lakes and vowed to protect them. “It truly is our heritage,” he said. Last week, the Michigan Senate voted to approve SB 1197 on a mostly party-line 25-13 vote. This morning, the House Operations Committee moved through amended legislation and the full House quickly took it up. SB 1197 passed 74-34 this afternoon, with many Democrats crossing over. The Senate promptly concurred with the House’s changes on a 25-12 vote, sending the bill to Snyder’s desk. “This shouldn’t be a Republican or Democrat issue and no one in this chamber — myself included — should make it one,” Chatfield said. However, groups representing the Oil & Water Don’t Mix coalition opposing Line 5 held out hope that Snyder would veto the bill. Both House Minority Floor Leader Sam Singh (D-East Lansing) and Rep. Donna Lasinski (D-Scio Twp.) failed to win amendments on the House floor. Singh offered an amendment requiring a bond to be put on legislation. He said this was necessary so if there is a spill before the tunnel is completed, the cleanup can be done with “real hard dollars.” He added that the Legislature has not had “enough time to vet all of these issues.” Lasinski’s amendment was to ensure that jobs go to Michigan workers, not workers from other states like Ohio. Rep. Winnie Brinks (D-Grand Rapids) said the bill allows Line 5 to keep operating. Reporter Michael Gerstein contributed to this report. Does Michigan make any money off this line? Does Michigan absorb the blame if there is a leak of major proportion and not Enbridge, and its tunnel which is a Canadian company? Do we the people of Michigan gain anything from this line 5 replacement or line 5? Any royalties for all the crude being pumped near the Straits of Mackinaw since we do not directly use any of this crude? Will Gov. Snyder represent the people or business this time? What is the good for Michigan, about any of this? Please explain.